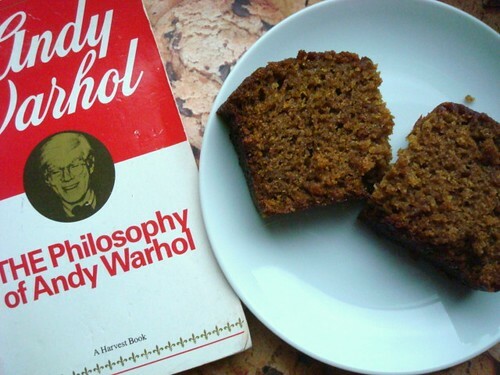 I suppose I'd better just say it: there is absolutely nothing remarkable about this pumpkin bread. But--hear me out--it is in that unremarkable nature that it is simply sublime. Listen, I know we're in the Age of the Cronut, the Oreo-stuffed cookie, and heck, I'm even the one who shared a lot of this type of recipe with the world--Cookie Cake Pie, Cadbury Creme Eggs Benedict, and so on. So I realize that this may be surprising, coming from me. But sometimes, plain and simple is absolutely the best. When I discovered this pumpkin bread recipe in Simply Delicious Amish Cooking (recipes from, of all things, the Amish population of Sarasota, Florida--no, really), I made a conscious decision to not mess with the recipe at all--that meant not substituting butter for the oil, no adding chocolate chips or nuts--just baking the straight-up bread, plain and simple. Simple doesn't mean that a recipe has to be devoid of joy. 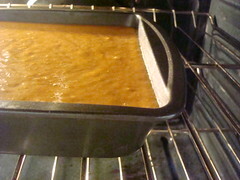 The batter came together in minutes, and then for more than an hour, my house was filled with the warm aromas of pumpkin and spice. Forget yoga, meditation, or therapy--this is truly calming and soothing stuff, just living in the aroma of pumpkin bread baking. The bread came out perfect. 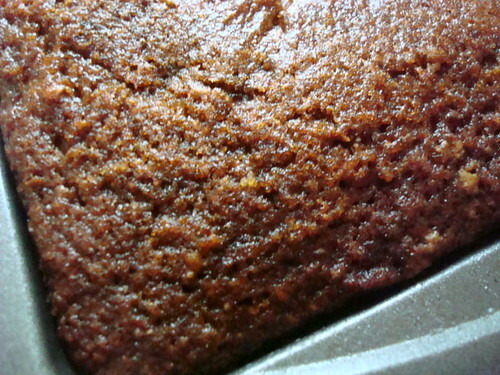 It doesn't have a flavor that zings the taste buds, but it tastes earthy, spicy, and sweet. It's satisfyingly dense. 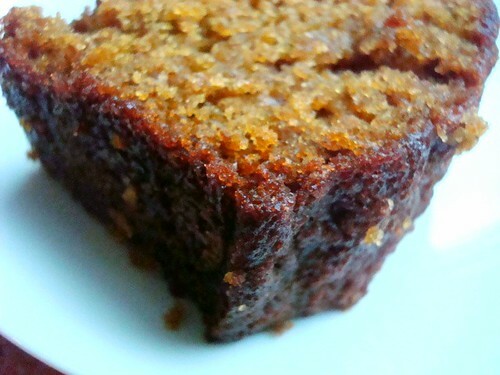 It plays well with other flavors--over a few days, I tried it plain, with chunky peanut butter on top, and warm with butter gently melting on top with a sprinkle of cinnamon. All variations were highly delicious. Don't make this bread if you're looking for a flashy dessert. But do make it if you want something cozy, calming, and delicious. 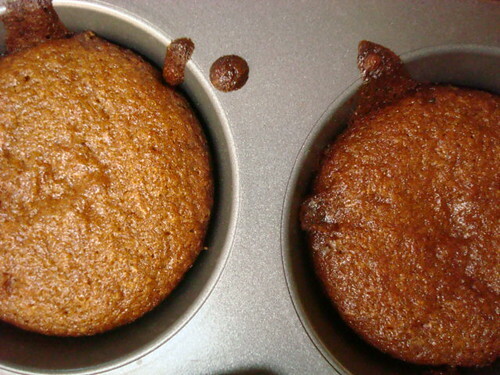 The only thing I changed was the pans--I don't have two loaf pans, so I baked the bread in one 9x9-inch pan filled 2/3 full, and the rest as little pumpkin bread cupcakes. The cupcakes baked for 30 minutes, the bread was right on the mark for 60 minutes in my kitchen. Oh, I lied. I also used one 15-ounce can of pumpkin, because no way was I going to open another can just to use one ounce. It worked fine. 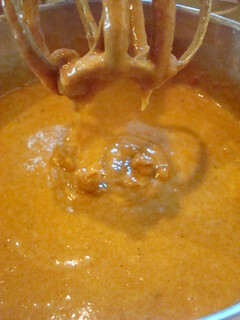 Preheat oven to 350 degrees F. Combine dry ingredients (through the ginger) and mix well. Add the 4 moist ingredients. Mix well. Pour into 2 bread pans. Bake 1 hour or until done. This bread freezes really well.